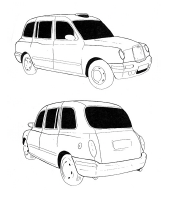 The Court of Appeal (‘CoA’) recently published its decision on the validity of two shape mark registrations for the shape of London black taxis. Unfortunately, it has not improved the position for those seeking protection for trade dress in the UK. Pure recognition of the sign is still not sufficient basis to lay claim to acquired distinctive character. Read on for the detail. The case at issue was between The London Taxi Corporation Limited t/a The London Taxi Company (‘the Appellant’) and Frazer-Nash Research Limited and Ecotive Limited (together, ‘the Respondents’). The Appellant brought an action against the Respondents arguing that the Respondents’ new taxi design would infringe its trade mark registrations and amount to passing off. The Respondents counterclaimed for invalidity of the Appellant’s trade mark registrations. In the High Court, Mr Justice Arnold found in favour of the Respondent, finding the Appellant’s trade mark registrations to be invalid for: (i) lack of distinctive character; (ii) lack of acquired distinctiveness; (iii) that the mark consists of a shape that provides substantial value to the goods. There were no less than 26 grounds of appeal, the most pertinent of these relating to the validity of the Appellant’s earlier trade marks. The CoA found that both taxi drivers (the purchasers of the taxis) and those who hire taxis could be classed as the average consumers. The CoA disagreed with the position of the High Court and found that the taxi hirer may make a decision to hire a taxi based on the origin of the goods and, therefore, should not be excluded from consideration. In arguing that its earlier trade marks were distinctive, the Appellant sought to rely on Jaguar Land Rover (Case T-629/14) which concerned an application to register the shape of a Range Rover. In that case, the application proceeded to registration for ‘vehicles for locomotion by air and water’ although it was refused for ‘vehicles for locomotion by land’. In relying on this case the Appellant argued that assessment for inherent distinctiveness is whether the mark ‘departs significantly from the norm or customs of the trade’. Whilst Floyd LJ (the CoA judge) felt that this argument held water, ultimately, he agreed with Mr Justice Arnold’s High Court finding that the Appellant’s earlier trade marks lacked inherent distinctive character. In reaching his decision, Floyd LJ held that the Appellant’s earlier trade marks did not depart significantly from the norm and customs of the sector but are a variation of a standard design. In deciding on this point, Floyd LJ directed himself to his own decision in Nestle v Cadbury (EWHC 50 (Ch)). The question of acquired distinctiveness rests on whether or not the applicant can show that the relevant class of persons ‘come to identify the [goods] as originating from a particular undertaking and so to distinguish those goods from those of other undertakings’. 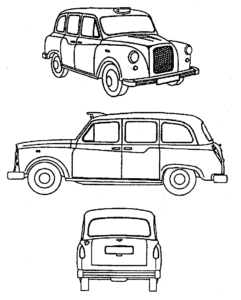 Importantly, whilst the relevant consumer may understand the shape of the taxi to signify that it is a licenced London taxi, the judge felt they had not been educated to understand that the shape of the taxis denoted trade origin. Therefore, the Appellant’s claim that the shape of their taxis had acquired distinctive character failed. The question as to whether or the sign consists of a shape which gives substantial value to the goods was ultimately not decided upon by the CoA. 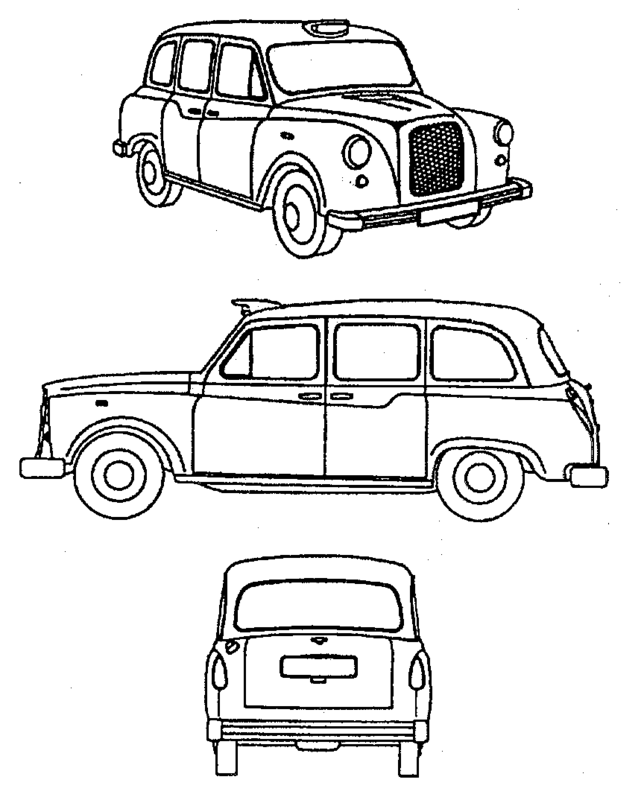 However, Floyd LJ was unsure as to whether the fact that consumers would recognise the shape as that of a London taxi should be taken into account or ignored. He discussed that one view that could be taken into account would be to decide the issue by reference only to the shape itself. Had it been key to the appeal, the CoA would have sought the opinion of the CJEU. As it is, this remains an issue on which we could do with further guidance. Overall, this decision provides helpful clarification of the UK Court’s approach to the registration of shape marks and, in particular, the assessment of the inherent and acquired distinctive character.